La universitat de Cardif parlaran de la utililitat dels edificis després de l’abandó. Konvent com exemple. Berguedà. Committed landscapes: strategies of social and cultural dynamization in non-urban ruins through artistic and creative activities. Geospatial changes in contemporary societies produced a gradual and growing abandonment of large areas of territory. The progressive depopulation of extensive spaces in postindustrial Europe is becoming an enormous challenge for policy makers and territorial activists. In some of these landscapes in crisis, there have been different initiatives over the last few years associated among others to new forms of agriculture or tourist activities that try to modify the abandonment dynamics but maintaining their dependence for urban customers or investors. However, in the last decade there has been a fundamental paradigm shift, facilitated by improved communication networks. New globally hyperconnected spaces of creation and experimentation are appearing even in the most remote areas of the territory. The ability to spread all kinds of new activities in these depressed environments opened new possibilities for social and cultural improvement for local residents. In this project we analyze the impact of art/craft initiatives of KONVENT a cultural association created near the village of Berga, 100Km North of Barcelona. Konvent association settled up in the abandoned spaces and ruins of the old “Cal Rosal” factory. 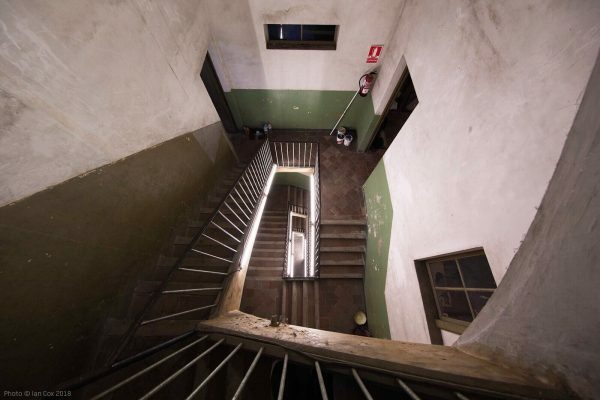 Some members of the association have personal attachments to these spaces since their family and friends used to work and live here and they have worked to preserve the buildings and the old industrial landscape. These emotional attachments and an exceptional atmosphere of creativity creates a very unique setting favoring new local cultural gatherings and certain national and international recognition while maintaining the pulse with local and regional authorities.